Egrets stayed around at the refuge later this year because the weather has been warmer than usual. Not today though as Artic air has brought temperatures to lows unheard of since the 1930’s. 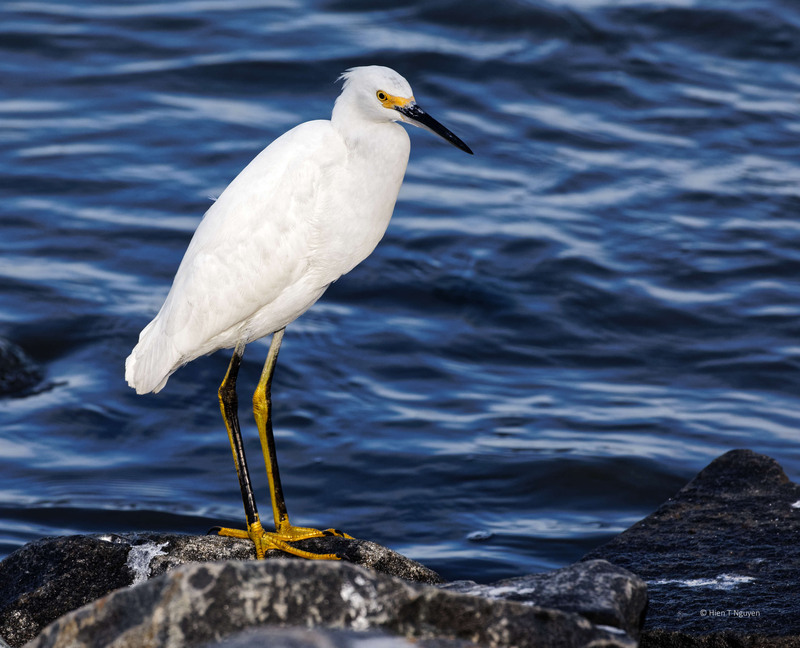 Anyway, last week I saw a Snowy Egret by Wildlife Drive at the refuge and stopped my car not more than 20 ft (6 m) from it. Other cars then began stopping behind me, and the Snowy Egret decided it had enough and flew away. Looking through my files, I saw the following photo taken in November 2014 at the John Heinz National Wildlife Refuge. I did not post it before, perhaps because at first glance it appeared too dark. But lighting was falling on the egret and not on the marshy background. So here it is. Great photos again, I like how the feathers are ruffled, and the feet look so big in the first photo. Thanks! I noticed those big feet too, bigger than the head. Thank you Mohammad! I always try to catch the eyes of a bird, if possible. Gorgeous photos of the snowy, Hien! The colors are gorgeous and great detail!! 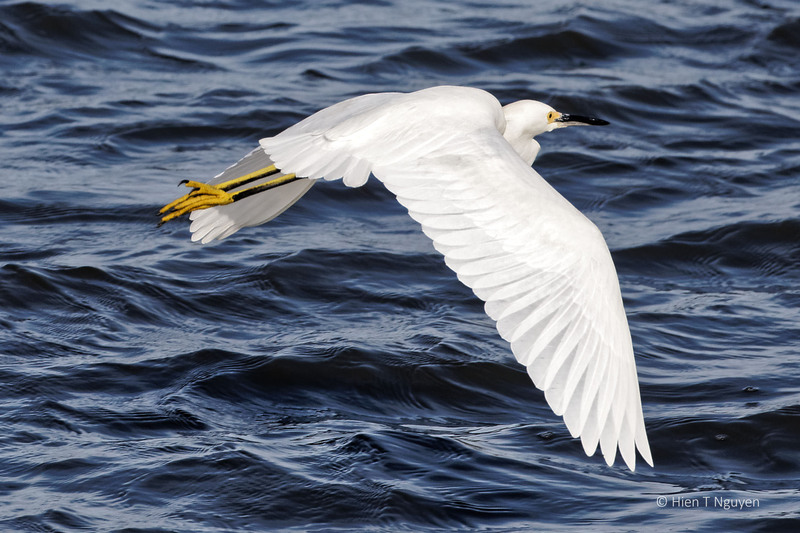 I’d love to see a snowy egret in person, so far they have escaped me. So, I’ll have to “settle” for your wonderful images of them. Don’t you just hate it when other people scare away something you’re trying to photograph? Jerry, maybe being inland you don’t have many Snowy Egrets. They are quite common on the Jersey shore. Next year, after I am retired, I will try to go on photo shoots on a week day to avoid the crowd. Beautiful photos! They look so majestic. 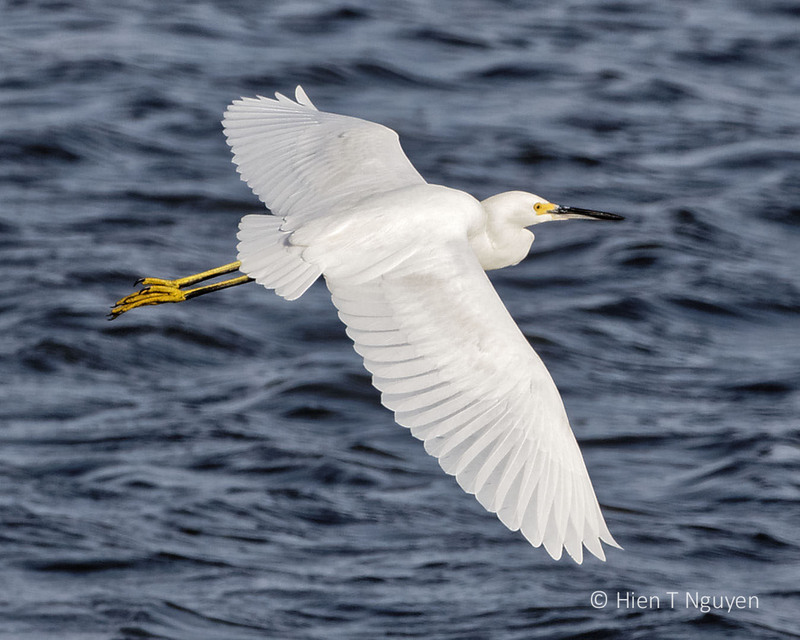 Love the yellow legs and bill on the Snowy – they really are very snowy! 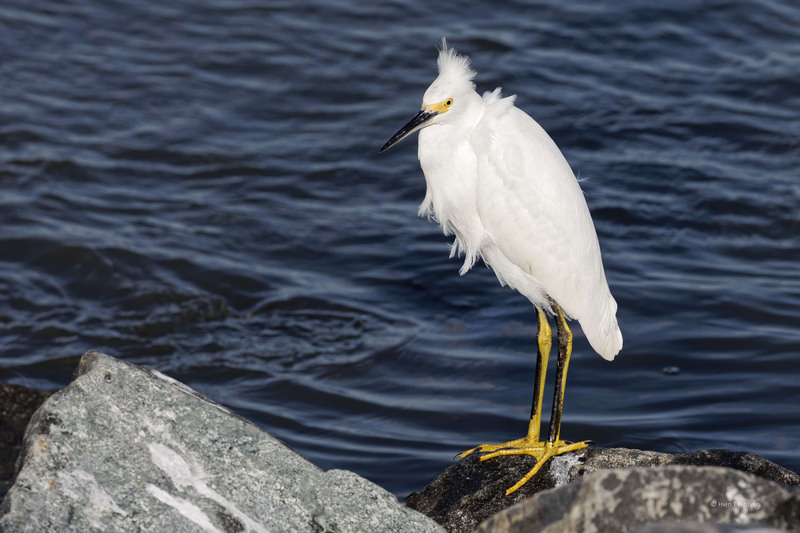 That Snowy Egret looks small when it is all balled up. But when it stands upright and stretches its legs and neck, it looks much bigger. The last one with dark back ground is a great portraiture. Thank you Doda! It has been cold. However, today temperatures are above freezing by a few degrees and I could again walk my dog outside. It is looking so cold. It just seems to be shivering. 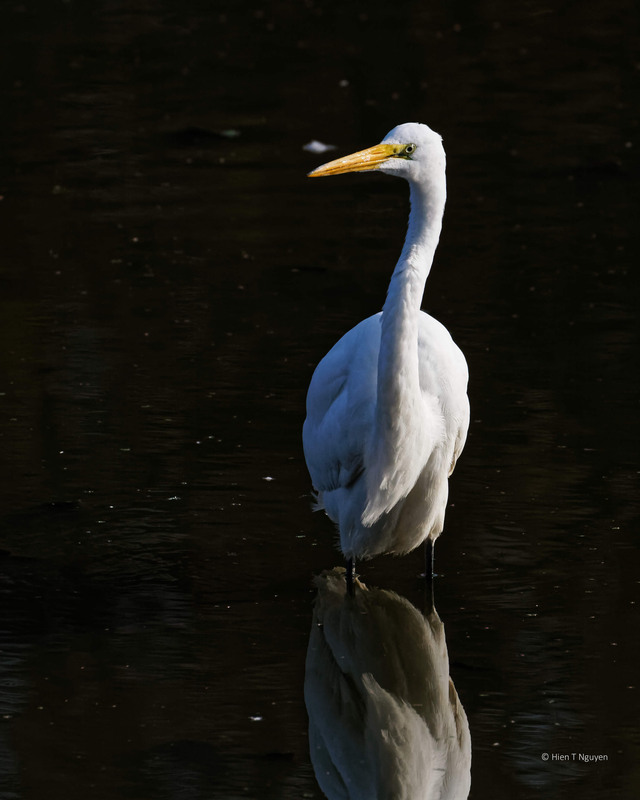 The refection of the Egret in the bottom photo is just great, enhanced by the darkness of the back ground. Love it. Very keen observations from your part. Thank you!